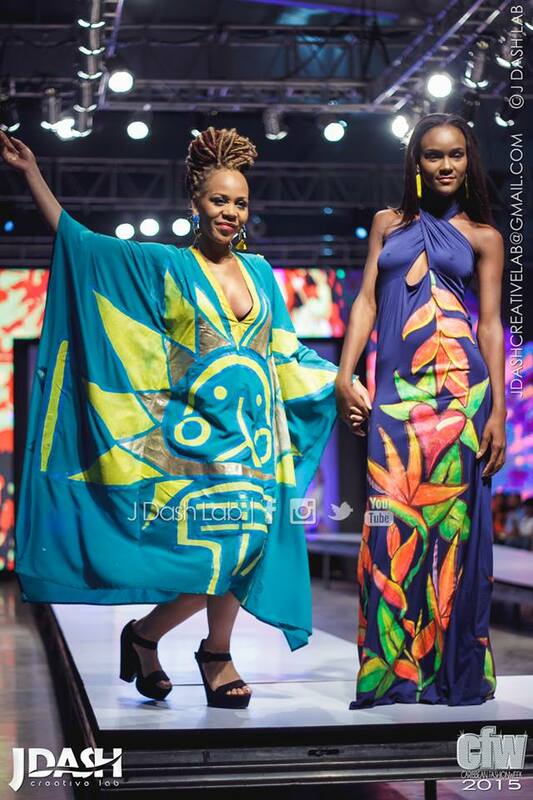 Caribbean Fashion Week this year was an explosion of colours and prints that tickled my heart’s fancies. 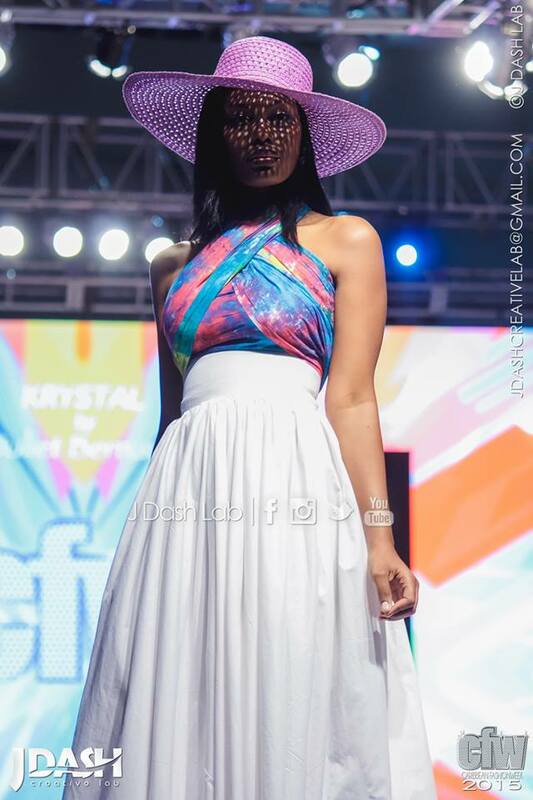 On night one, collections were shown from many Caribbean designers as well as a few young Jamaican designers whose collections I am familiar with. It was a pretty good night as far as the opening night of CFW usually goes with lots of pretty fashion to keep the sparse crowd oohing and aahing. Here are a few of my faves. 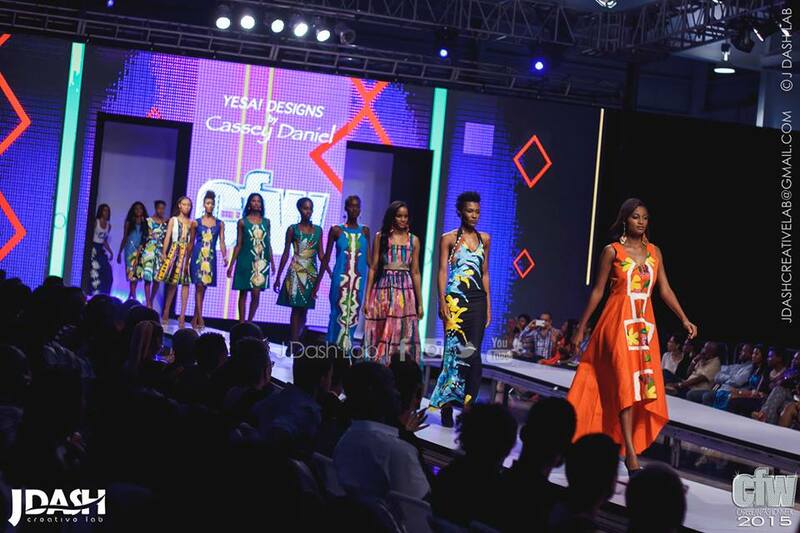 Cassey Daniel out of Trinidad and Tobago had a very vibrant collection titled Yesa! Designs. They’re handpainted statement pieces sure to differentiate the wearer from the crowd. 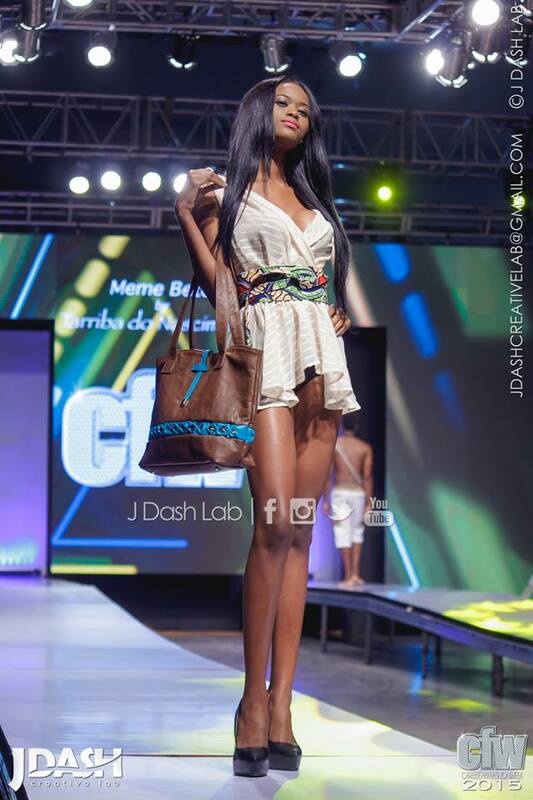 Meme Bete Bags out of St. Lucia was one of quite a few accessory designers who showed. 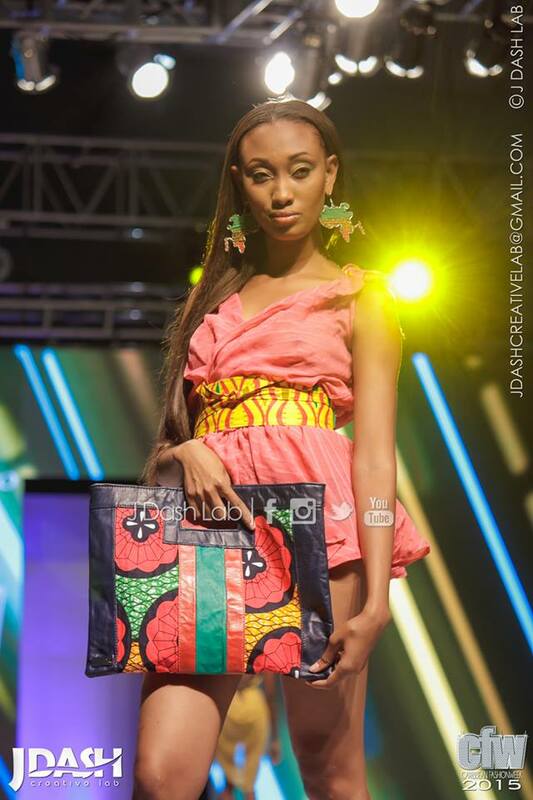 The line was described as high end luxury bags for the everyday fashionista. 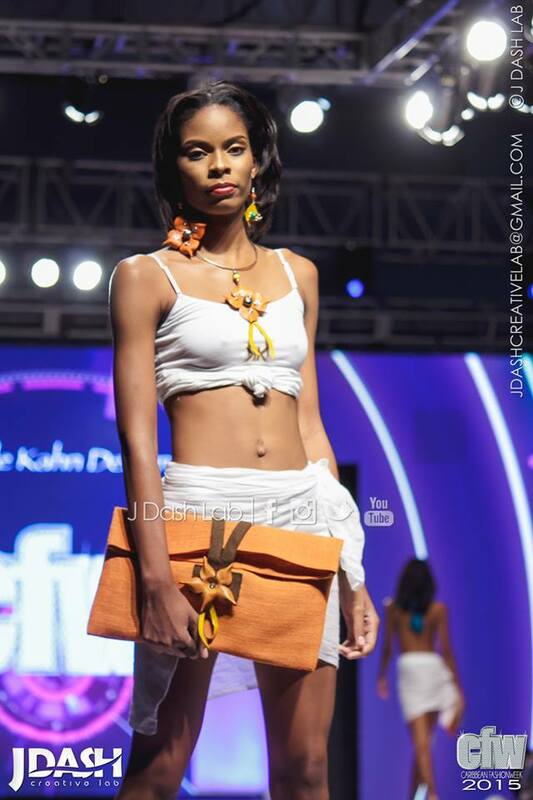 Meme Bete means “we’re all the same” in St. Lucian creole and plays up on the different types of animal skins used to create the bags. 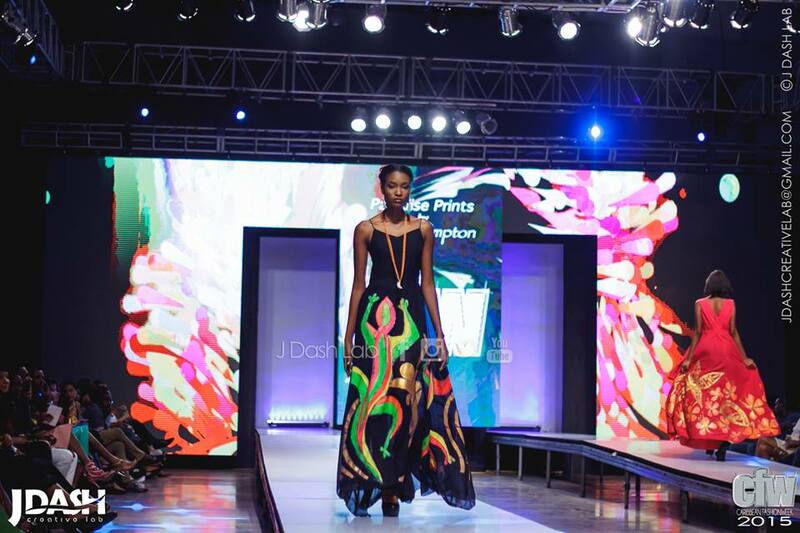 The patterns and colours draw upon that vibrant, colourful theme of the night that I loved. 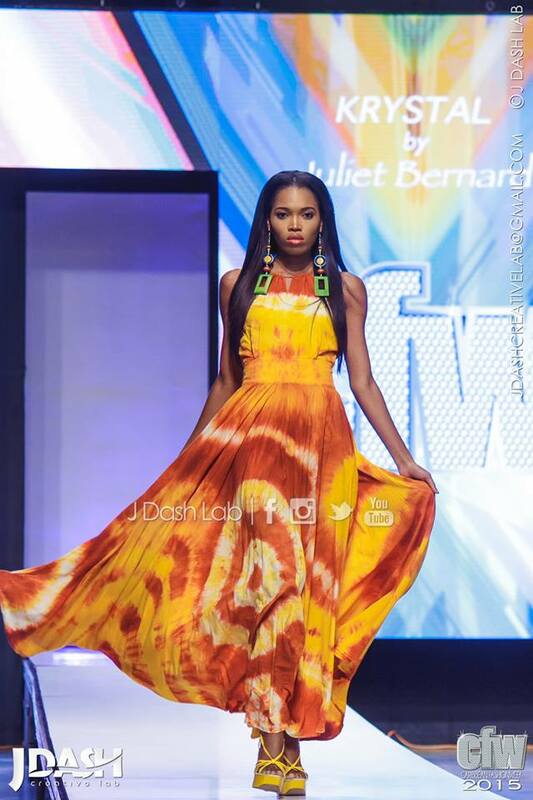 Juliet Bernard was among the gaggle of Tobago designers that showed and she surely has a love affair with tie-die pieces. 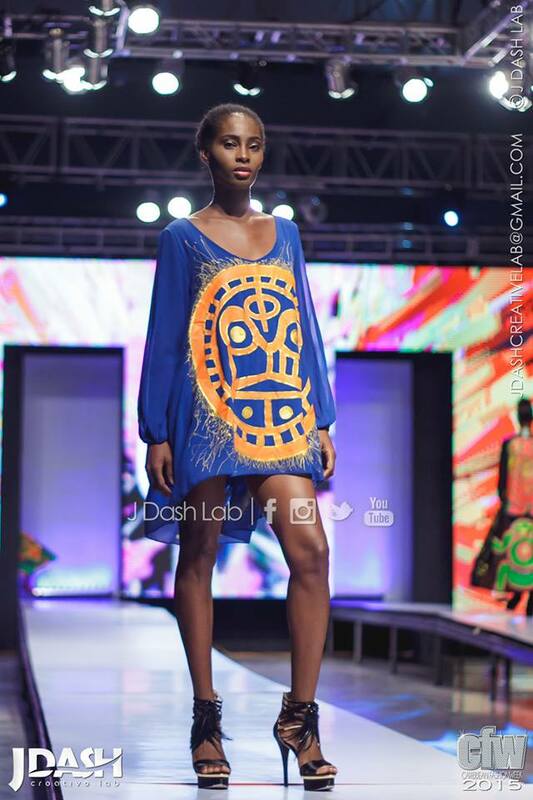 I loved though that some pieces weren’t as overbearing as others were, giving us all a way to incorporate this common island pattern into our wardrobe. 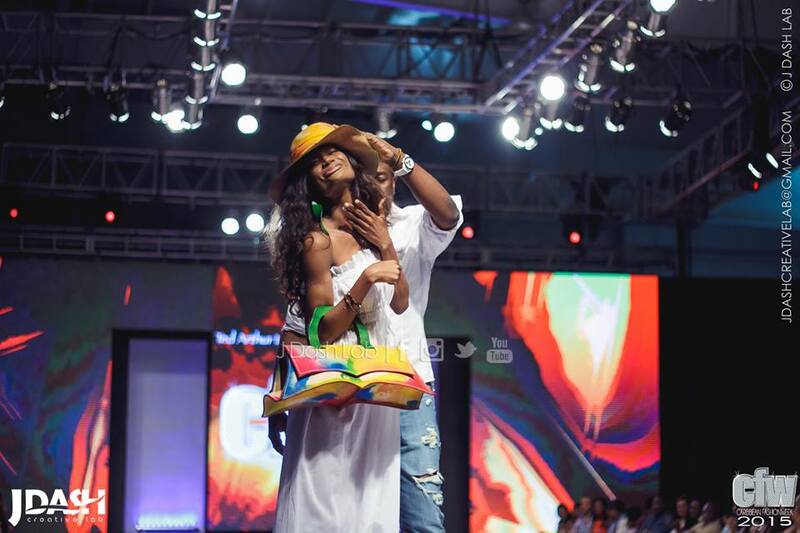 Ted Arthur had fun on stage after showing his leather accessory collection. 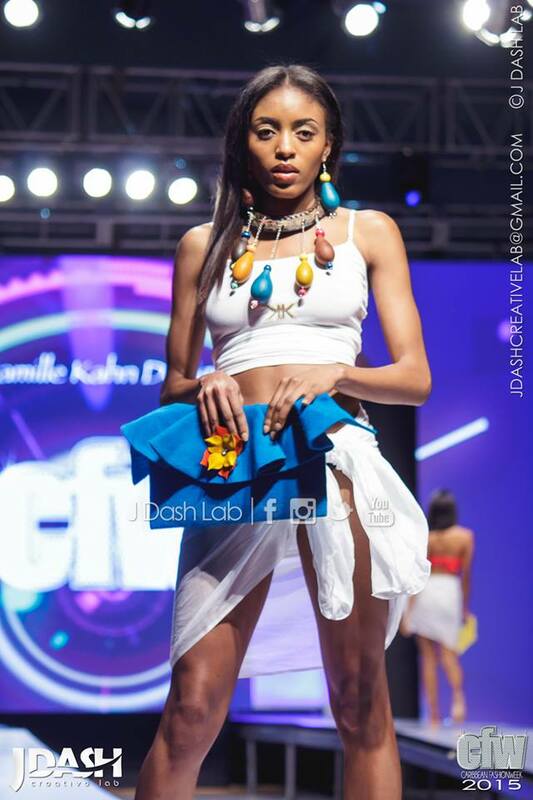 Camille Kahn, yet another Tobago designer who showcased accessories, embodied island pieces. Big, chunky, bright, multi-coloured wooden and natural fiber pieces that would go well with some Meiling or Bill Edwards all white linen swag. Now that’s Caribbean. 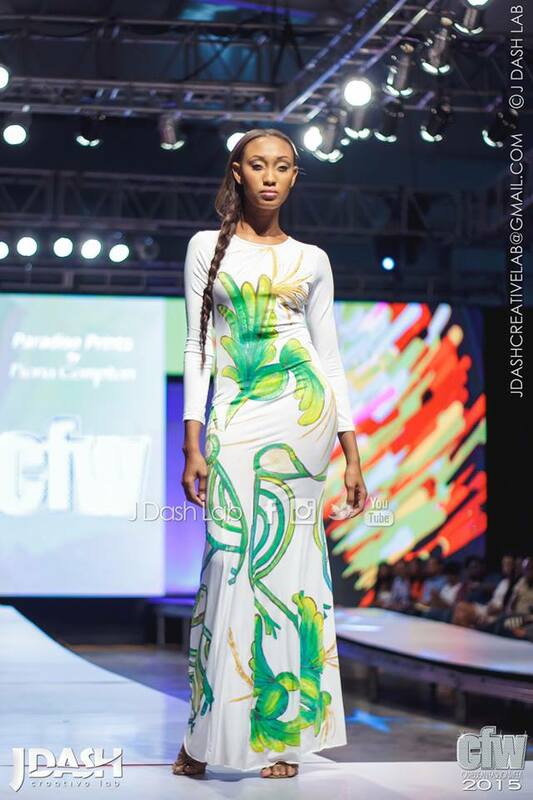 Fiona Compton’s Paradise Prints collection was a favourite of mine. 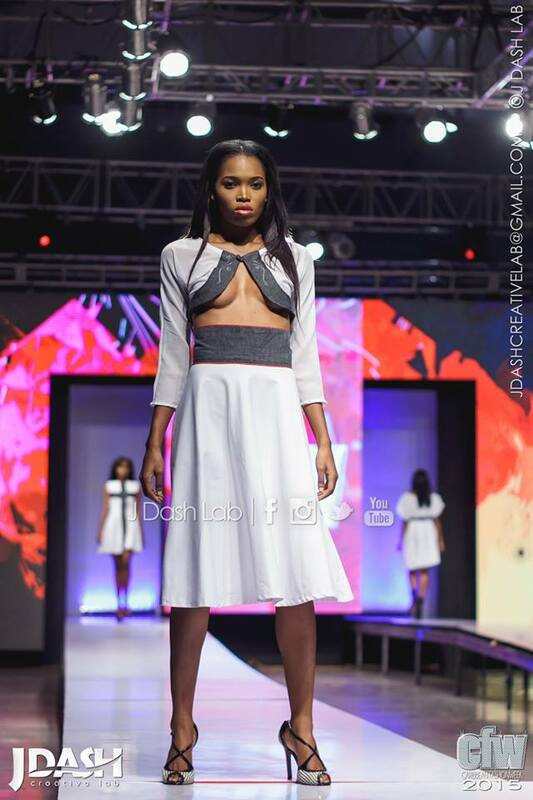 She hails from a St. Lucia and has photographer in her IG bio so I am guessing this is a fairly new foray into the world of fashion. I may be wrong. She hand paints the vibrant pieces herself. I was also feeling her blonde locks and overall personal style. Love! I want that blue piece now! Well not now, when I Can afford hand-painted pieces then yes. But it is absolutely gorgeous. 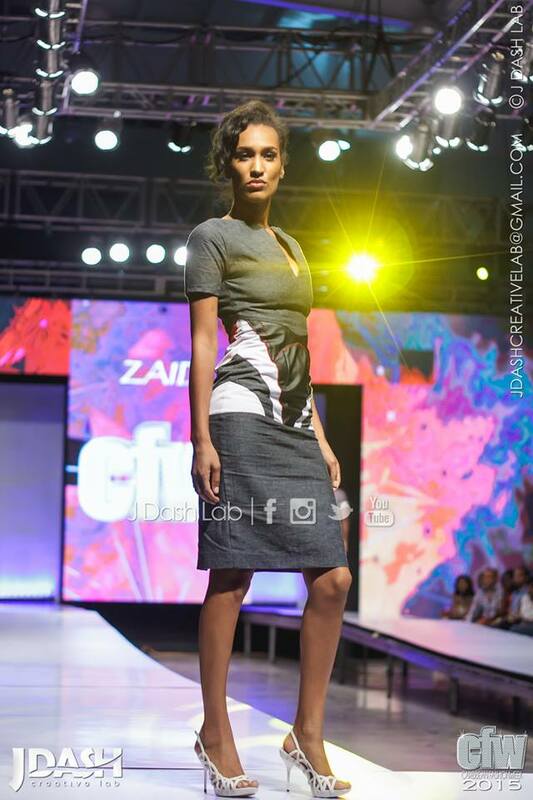 Zaid is a model turned fashion designer who showed his line at the Emerging Designers Showcase held Tuesday before CFW begun. 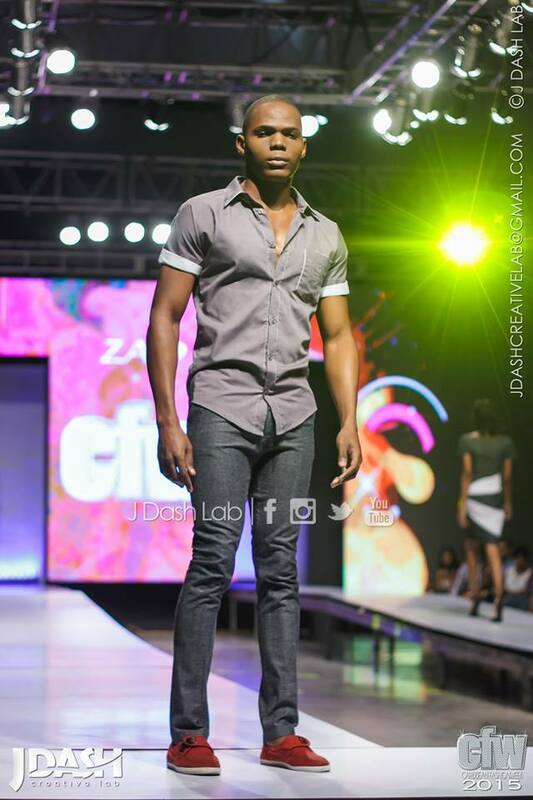 He was selected as a runner up and so was granted to show his pieces on the mainstage Friday night. He’s from Jamaica. See anything you like? 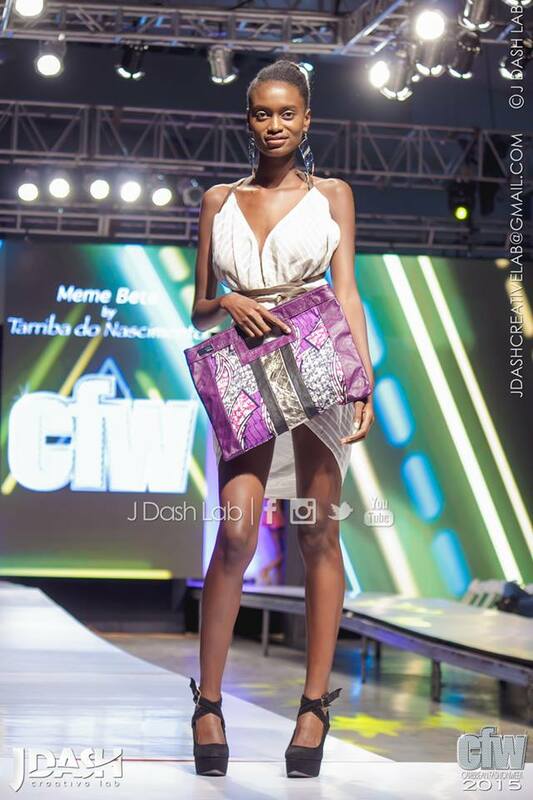 How was your CFW experience? Did you come away inspired or with any new pieces? A look at night 2 is coming up soon, thanks to Sangster’s Rum Cream for the invite! View more pictures from Night 1 here.